The Corinthian Club includes a casino, Brasserie, five bars, seven events halls over fourteen rooms and five floors offering gaming, dining, drinking, dancing, special events and live music. The landmark building has recently reopened following an eight month multimillion pound refurbishment and is located on Ingram St. in the heart of Glasgow's City Centre. The casino includes the best of gaming options including ten IGT GameKing Slot machines, ten Novomatic Super Gaminator Slot machines, sixteen Touch Bet Roulettes, four American Roulette Tables, four Flip Blackjack, three 3 Card Poker Tables and two Punto Banco Tables. A wide range of minimum and maximum bets are available with bets starting from as little as 50p on the slots and £1 at the Roulette tables thus ensuring that there is something for everyone. Additionally, higher and more flexible personal limits are also available on request. Special events include Mahjong Mondays and Tuesdays at 8pm and Kalooki Afternoon Tea every Tuesday at 2pm. Private poker tables are also available for hire seven nights per week. The Club offers several poker packages to suit every budget - simply ask at the reception for details. A variety of bars and restaurants ensure that your night out at the Corinthian, be it with friends or just by yourself is a truly a memorable one. 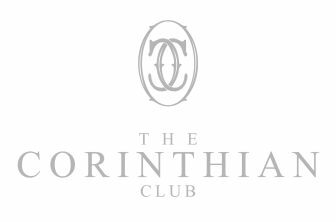 Entry to the Corinthian Club is free to everyone over the age of 18. The casino is open from 2pm to 6am. Slots and Touch Bet Roulettes open from 2pm while the table games are available from 6pm. The Tellers Bar and Brasserie - Monday to Friday from 07.30 to 06.00 and on Saturday and Sunday from 11.00 to 06.00. The Mash and Press Rooms - Thursday to Friday from 17.00 to late and on Saturday from 12.00 to late. The Club - Thursday to Saturday from 22.00 to late. The Boutique - Thursdays from 5pm to 11pm and Friday from 5pm to 3am. The Bootleg - Friday and Saturday from 17.00 to late. Charlie Parkers - Sunday to Thursday from 18.00 to 02.00 and on Friday and Saturday from 17.00 to late. The Tellers Bar & Brasserie offers the freshest, locally sourced produce that is cooked to order no matter the time of day, whether its breakfast, brunch, lunch, dinner or even a late night supper. The Mash & Press Rooms are a great place to meet with friends and enjoy a vast variety of fine wines and speciality beers from around the globe. The small bites menu can be pre-ordered and can be complimented with a special drinks package. The Club has a private bar facility and is available to hire all evening Sunday to Thursday and the Boutique is a world cocktail bar that serves some of the best cocktails in town. The Bootleg specialises in matured spirits from around the world including whisky, bourbon, rum and cognac. Charlie Parkers is a piano bar with late night live music performances that simply cannot be missed. The Corinthian Club also houses several private dining rooms ideally suited for dinners and events and the Laird's Room is ideal for intimate dining seating up to 10 guests. Corinthian offers two private event rooms, Private Parkers 1 and 2 which overlook Ingram Street and can each seat up to 16 guests or can be combined to maximum of 32 guests for a private lunch or dinner, perfect for intimate celebrations or even special occasions. The Club provides rooms that are perfect for corporate meetings and facilities include dedicated events staff, the latest audio visual equipment including LCD projectors and integrated audio systems and high speed wifi access throughout the venue. Rooms include Mercer and Langley which are situated on the second floor and Hempel on the top floor of the Corinthian. All three rooms can accommodate up to 60 guests each and include their own bar facility and a state of the art sound system along with audio visual equipment. These venues are suited for all types of special occasions including seminars and meetings or even birthdays and celebrations.